From spontaneous vaporetto trips down the canal to touring the temples of Angkor, these local couples share stories of blissful travels around the world. 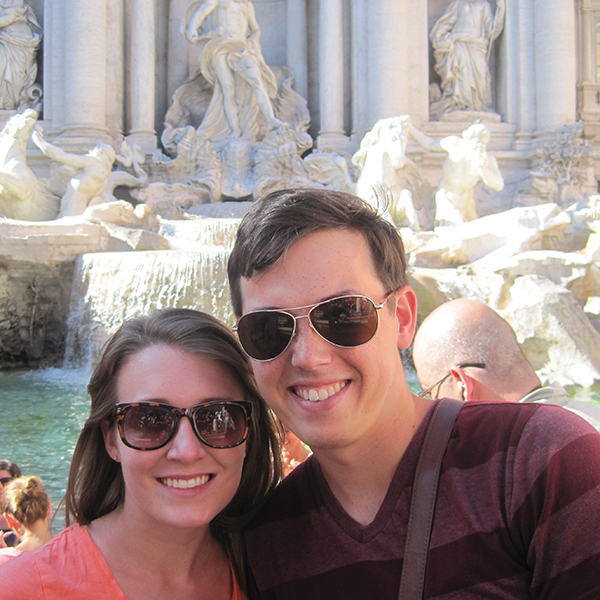 Stayed: Caroline and Peter visited many places in Europe, but their favorite hotel was the Casa dei Tintori Bed and Breakfast in Florence. Best meal: Spaghetti with mussels in red sauce and a plate of calamari while in Venice. Best view: The last morning in Florence, they woke up early and sprinted to the top of the Duomo to see the whole city beneath them. Best moment: “We walked out of our hotel room in Venice, walked to the closest vaporetto stop, and got on. We didn’t know where we were headed, but we ended up at Lido, a beach adjacent to Venice’s main island,” Caroline says. Splurge: Prints they purchased in Paris and a framed etching of Duomo in Florence. Stayed: A floating tent in a national park, an organic peppercorn plantation, and a colonial hotel in Phnom Penh. Best meal: “The local specialty is crab in a green peppercorn sauce. It was so amazing that we went back the next day to eat it again,” Katy says. 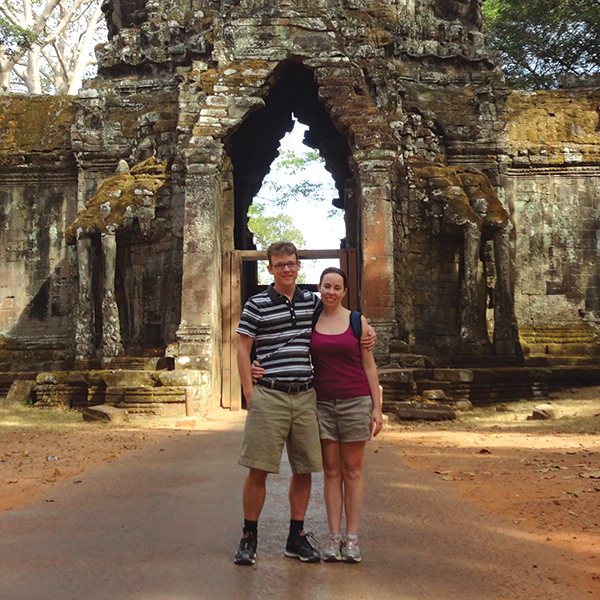 Best view: After climbing hundreds of steps at Angkor Wat Temple, they could see hundreds of miles of jungle and temples. Best moment: Katy and Jon spent New Year’s Eve at a floating lodge on the river in their own luxury tents where Jon surprised Katy with a romantic dinner. Splurge: While in the country’s capital, Phnom Penh, they stayed at the historic Raffles Hotel le Royal. 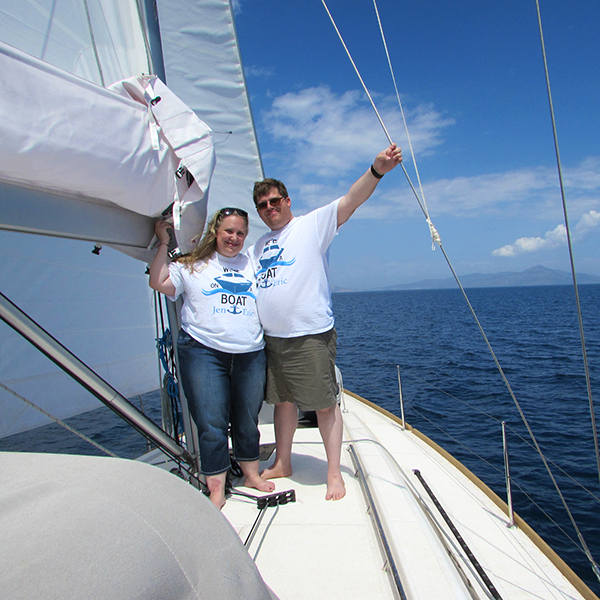 Stayed: Straying from the norm, Jeanette and Eric opted to stay on a 41-foot Beneteau Oceanis yacht while hopping from island to island. Best meal: Eric loved slow-cooked pork belly sous vide with mashed potatoes and mustard-orange glaze. Best moment: Jeanette and Eric shared a meal with people from four different countries they met while docked in Hydra. Splurge: “We capped off our trip in a gorgeous honeymoon suite complete with private indoor plunge pool overlooking Santorini’s caldera,” Jeanette says.